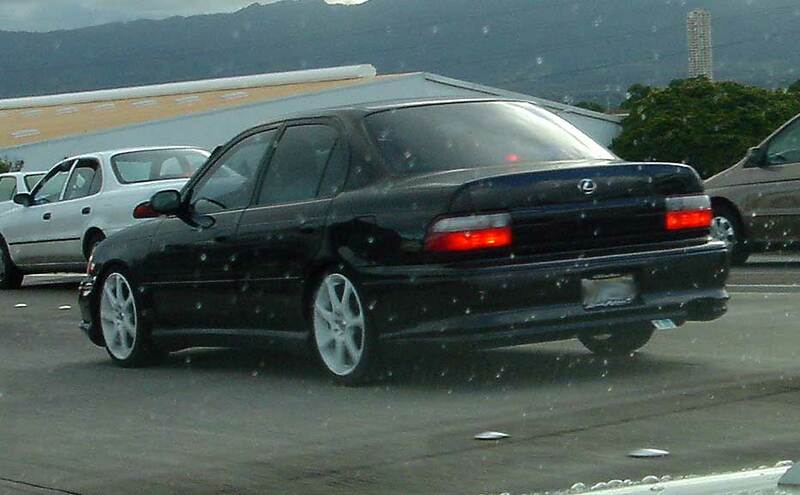 About 4 years ago....on H-1 ewa bound near Sears Distribution Center...I snapped this pic.....Corolla with "L" emblem. WHY??? Here's a few from the mainland that other CL members caught on camera. i seen a black x-runner today, it has the lexus emblem. and it has this emblem with numbers and letters like XLR something with numbers, idk. lol. Dude....go over there right now...and go full force on his @$$. Last edited by PHML; 02-26-09 at 10:23 PM. i saw a lexus rx with a toyota emblem once in a while. LOL!!! 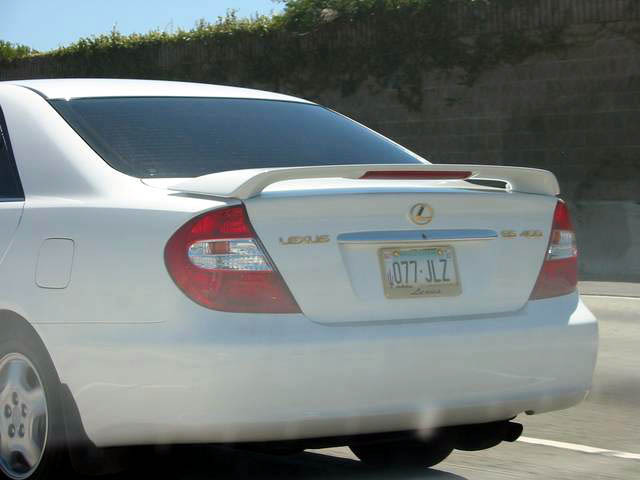 I saw an LS430 Ultra with Toyota emblems. Its OK to downgrade....blame it on being JDM. But NOT OK to self-upgrade. "WACKENHUT" car or what!!! Man..what r they thinking when they go and do things like this?! Just debadge and go naked! 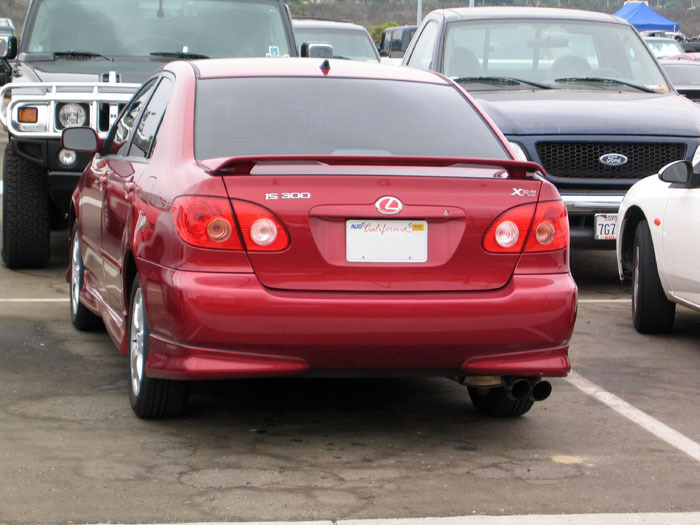 To call it an IS300 when we ALL know its a corolla...and to top it off, its freakin' crooked!!! I once saw a green IS300 with ///M (BMW) badges on the front fenders. Ewwww.